There are now many female American lawmakers who are working to make life better for women, and Kamala Harris is absolutely one of them. Famous for her refusal to be silenced by her male contemporaries, the smart lawyer is a tenacious seeker of truth and has always manifested this trait in discharging her duties in different public offices she has held. She has served as the 32nd Attorney general of California from 2011 to 2017. Since dropping the position, Kamala has served as the junior United States Senator from California. Currently, there are waves of rumors that she is going to contest for president in 2020. Should this prove successful, the lawyer from Oakland, California will be the first woman to probably break one of the tallest glass ceilings of America democracy. While we all can’t wait for the breakthrough, let’s strip off her political achievements and look into her love life, marriage, husband and more. The outspoken California senator was born Kamala Devi Harris on October 20, 1964. As a child, she lived in Califonia with her family but later changed base to Quebec Canada after her mom divorced her dad. She attended Montreal’s Westmount High School before returning to the United States’ Washington D.C to further her education at Howard University. At Howard, she obtained a degree in political science and economics and then resettled in her native California to join the University of California, Hastings College of the Law in 1989 in pursuit of Juris Doctor (J.D). In 1990, Kamala Harris received an admission to practice law at the State Bar of Califonia. That very year, she worked for a while in the San Francisco District Attorney’s Office and also spent time at the City Attorney of San Francisco’s office. Having displayed exceptional professionalism, she was elected District Attorney of San Francisco in 2004. Kamala kept growing through the rank and by 2010, she made her way into becoming California’s Attorney general and got reelected after serving for four years. The unstoppable politician defeated Loretta Sanchez to take over from outgoing senator Barbara Boxer in 2016. This made her the third female U.S Senator and the first of Jamaican or Indian descent. 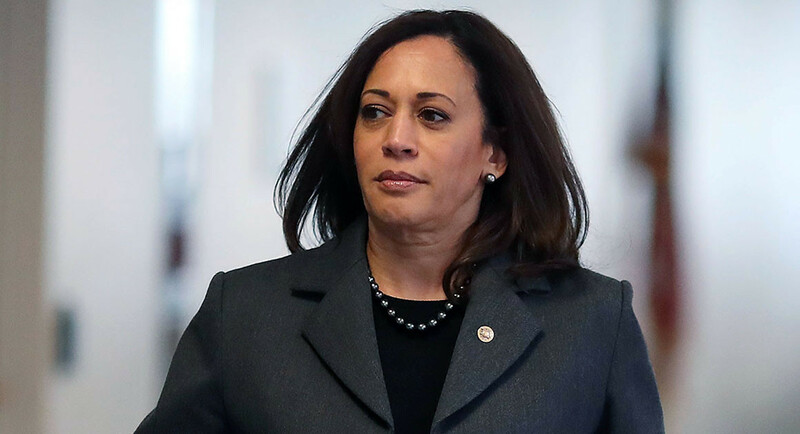 Kamala is the eldest daughter of Shyamala Gopalan Harris and Donald Harris. The politician has only one younger sister and her name is Maya Harris who is a political analyst at MSNBC. She is married to a former U.S Justice Department senior official and General Counsel of Uber. They have one daughter. Kamala’s mother was an Indian who moved to the United States in 1960. She was a breast cancer researcher and was born in 1938. Her dad is Donald Harris, a Jamaican. Kamala’s dad, Donald left Jamaica in 1961 for graduate study in economics at the University of Califonia, Berkeley. The couple lived in Berkeley, Califonia and attended graduate school together. But their relationship headed south when Kamala was only 7. Following their divorce, Shyamala sought for her children’s custody and it was granted to her in the court settlement. Consequently, she relocated to Montreal, Quebec Canada with her children and began her research at the Jewish General Hospital. She also taught at McGill University. Sadly, she died in 2009. Due to the separation of Kamala’s parents, the politician developed tight closeness with her maternal grandmother, P.V Gopalan who worked as an Indian diplomat. To keep up with her maternal family, she was always visiting Besant Nagar in Chennai Tamil. Harris has a relatively reserved public personality when it comes to her love life but that hasn’t stopped fans from finding out things about her. And from what has been found, the actress is a married woman. The name of her husband is Douglas Emhoff. He is a California attorney and one-time partner in charge at Venable LLP’s Los Angeles office. She met her husband on a blind date that was planned by one of her close friends. 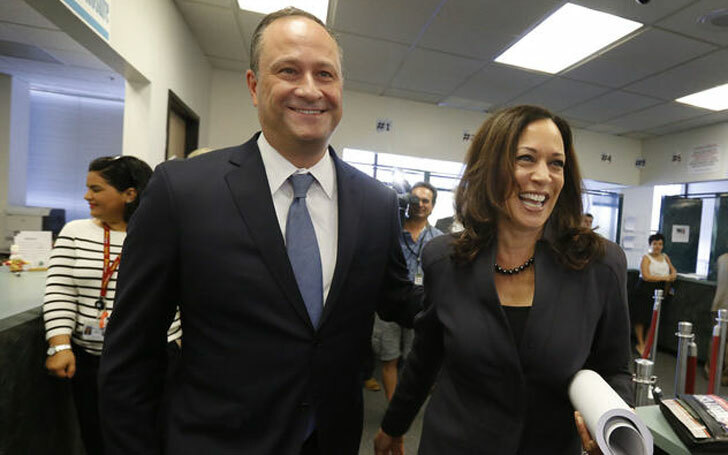 They were engaged in April 2014 and wedded on August 22, 2014, in Santa Barbara, County Courthouse, California in an event that was officiated by Kamala’s sister Maya, a lawyer just like Kamala and Douglas. The couple has no children yet but Harris has been a fine mother to Douglas’ two kids from his previous relationships. Before she met Douglas, Kamala dated Wille Brown. At that time, she was a County Deputy District Attorney and Brown was the Speaker of the California State Assembly. The relationship shattered not long after Brown became Mayor of San Francisco.